Get To Know "Zach Deputy"
The Another Day album, produced by Scott Jacoby, represents a departure from Zach’s historical one-man looping performances. The album’s tracks feature Graham Hawthorne on drums, who has played with Aretha Franklin, Harry Belafonte, Joan Osborne, Paul Simon, and David Byrne amongst others; Al Carty on bass, who has toured and recorded with Lou Reed, Alicia Keys, De La Soul, Carrie Underwood, Gavin DeGraw, Me’shell Ndegeocello, and more; and pianist/organist Will Buthod, whose played with Jay-Z, Fat Joe, Alicia Keys, Swizz Beatz, Mashonda, and The Harlem Gospel Choir. 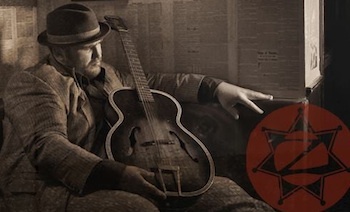 In addition to the Another Day album, Zach Deputy’s full discography includes the following (samples of which are available on zachdeputy.com): Into the Morning (May, 2011); Sunshine (July, 2009); and Out of the Water (June, 2008). A devoted artist, Zach Deputy performs live most every night across the states. For information on catching a show near you, click here: http://www.zachdeputy.com/shows. You can learn more about Zach’s pay-what-you-want live sets at http://zachdeputy.bandcamp.com/. Visit http://zachdeputy.com/anotherday/ to learn more about the history and development of the Another Day album, which can be downloaded on Itunes by clicking here. If you are near the Live Oak Florida-area, be sure to join him at the 1st annual Zach Deputy’s Disc Jam – a disc golf and live music event being held at the Spirit of Suwannee Music Park on March 8th-10th. For more information, visit: https://www.facebook.com/events/126724290828424/. Keep connected to musicbailout.net for an interview with Zach Deputy in the month ahead.